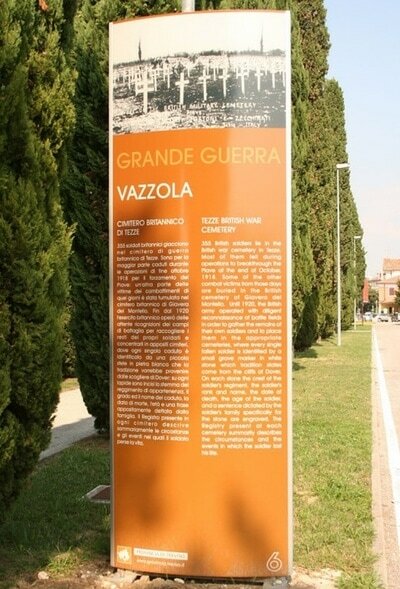 Tezze is a village in the Province of Treviso, a large town north of Venice. The village is 8 kilometres east of Susegana, a town on the main road some 24 kilometres north of Treviso. 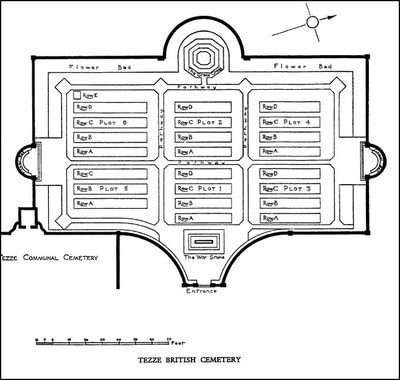 The British Military Cemetery lies about 270 metres south of the village of Tezze. 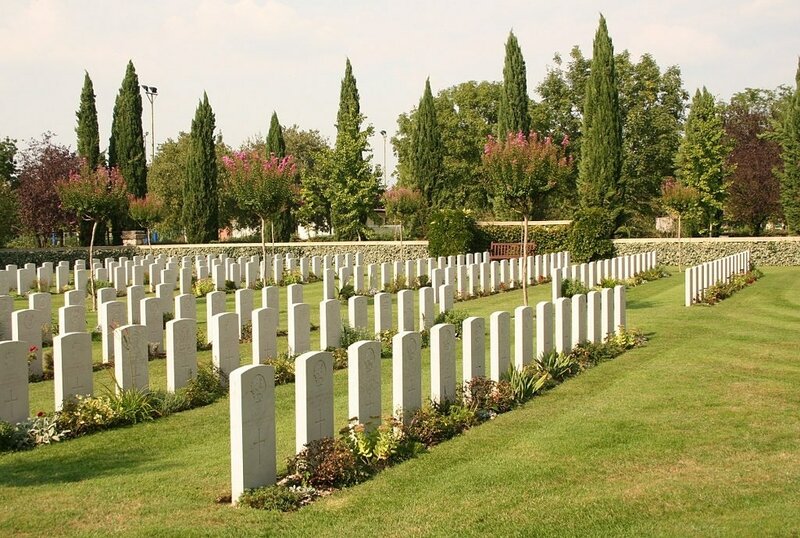 Take the Treviso Nord exit or Conegliano Veneto exit from the A27 (both are about 20 kilometres from the cemetery), go in the Vazzola - Tezze direction and then follow the signs to the cemetery. If travelling by train, a bus service is available from Conegliano Station. Cemetery address: Piazza Tigli - 31020 Tezze (TV) Veneto. GPS Co-ordinates: Latitude: 45.814565, Longitude: 12.348272. The village of Tezze was captured by the Austrians in the advance in the autumn of 1917 and remained in their hands until the Allied forces crossed the River Piave at the end of October 1918. On 21 October 1918, Commonwealth forces comprising the XIVth Corps (7th and 23rd Divisions), which had been transferred from the Asiago sector, took over the part of the River Piave front from Salletuol to Palazzon, serving as part of the Italian Tenth Army. On the night of 23 October, the main channel of the river was crossed using small boats and the northern half of the island of Grava di Papadopoli was occupied, the occupation being completed two nights later by a combined Commonwealth and Italian force. After the capture of the island, the bridging of the Piave proceeded rapidly, although the strength of the current meant that the two bridges built for the crossing were frequently broken and many men were drowned. 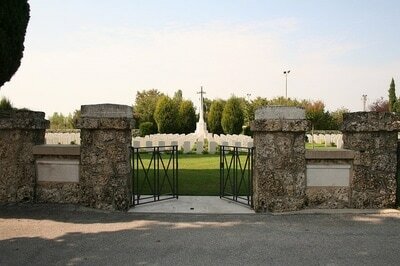 The Allied attack east of the Piave began early in the morning of 27 October. 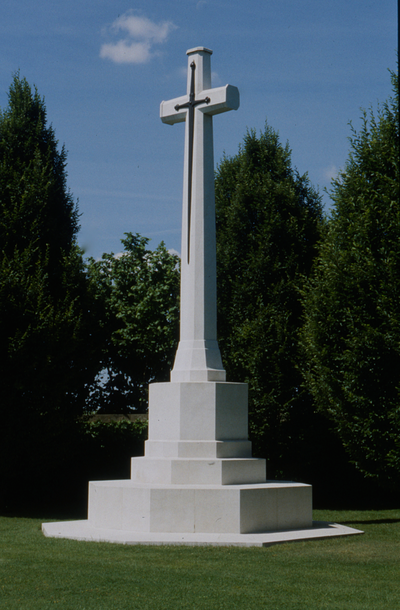 Despite stiff resistance and difficulties with bringing forward supporting troops across the river, the Austrians were forced back over the next few days until the Armistice came into effect on 4 November. Many of those who died on the north-east side of the river during the Passage of the Piave are buried in Tezze British Cemetery. 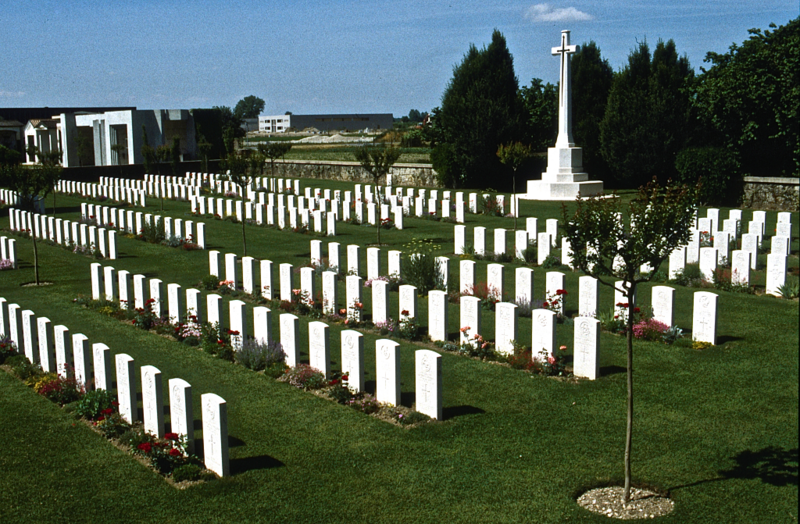 It now contains 356 Commonwealth burials of the First World War. 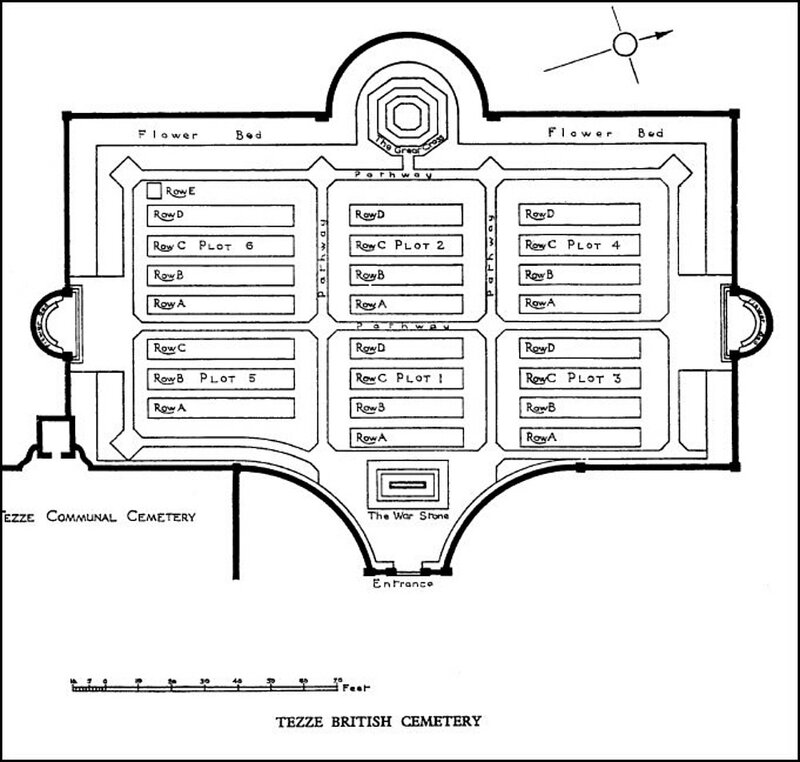 Plot 6, Row C, Grave 8.